Journal of Duzce University Health Sciences Institute (J DU Health Sci Inst) started its publication life in January 2011. It is published every four months in January, May and September. Research studies in the field of research are being evaluated from the original research, review, case report and other (editorial comment / discussion, letter to the editor, scientific letter, surgical technique, distinctive diagnosis, original images, diagnosis evaluations?, medical book reviews, question- answers) from health field researches. Applications of Health Sciences Institute, Faculty of Dentistry, Faculty of Pharmacy, Faculty of Medicine, Faculty of Veterinary, Faculty of Sport Sciences, Faculty of Health Sciences / School of Health and other health researchers are accepted. Our journal is an open-access journal electronic publishing with e-ISSN: 2146-443X. All scientific writings are accessible to all users without any institutional fees. 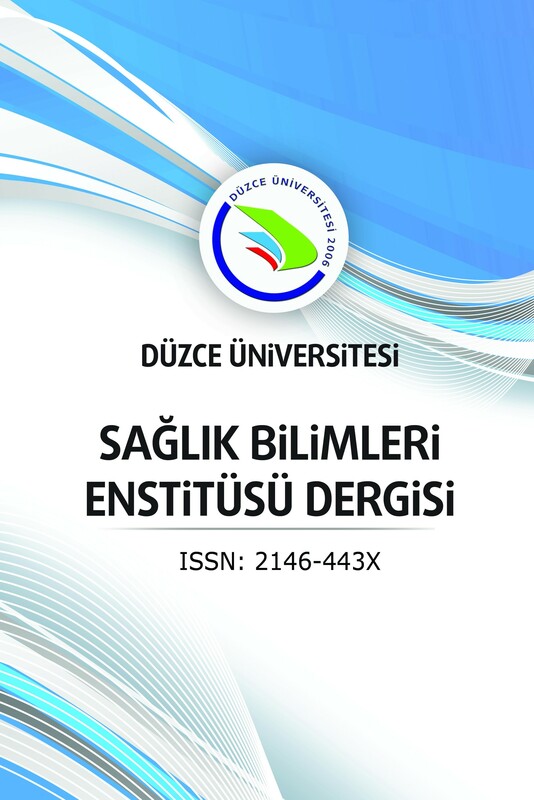 Our journal is registered with "Turkish Citation Index", "TR Index (TUBITAK/ULAKBIM)", "Turkish Medline National Health Sciences Periodical Publications Database", "Google Scholar”, "Index Copernicus", "Google Scholar", "Academic Resource Index (ResearchBib)", "Sobiad", "Scientific Indexing Services (SIS)", "ROAD", "Scientific World Index (SCIWIN)" and "CiteFactor". It is of great importance that our authors make references to the studies published in the national journals in order to make scientific studies more widely known and to contribute to national publishing.